Condition: In generally good condition, the canvas fragile. One 3 in. 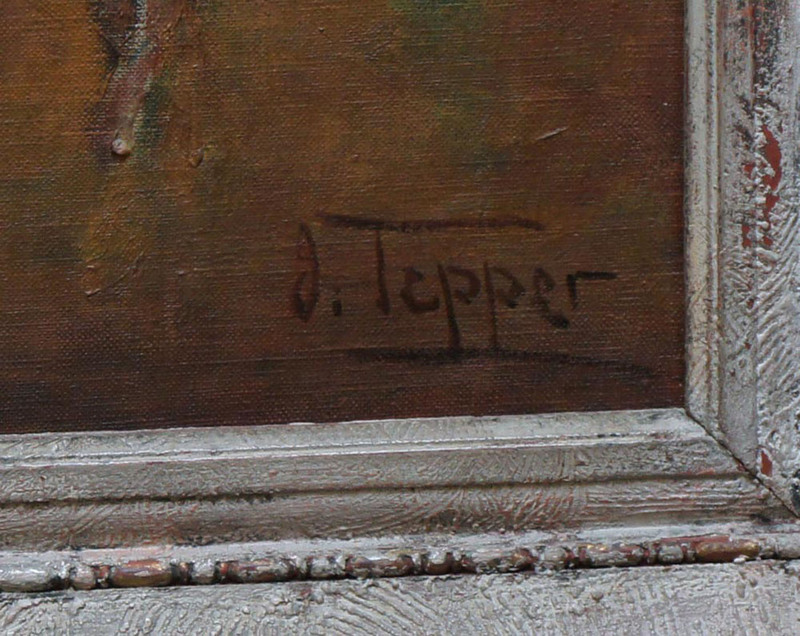 rubbed or scratched area in the upper right with a weakening of the canvas.. Colors dull as the painting could use a cleaning. Provenance: From the Estate of Laura Schwartz of Jamaica Estates, New York. Mrs Schwartz was personally acquainted with Walk Kuhn and Joseph Tepper. 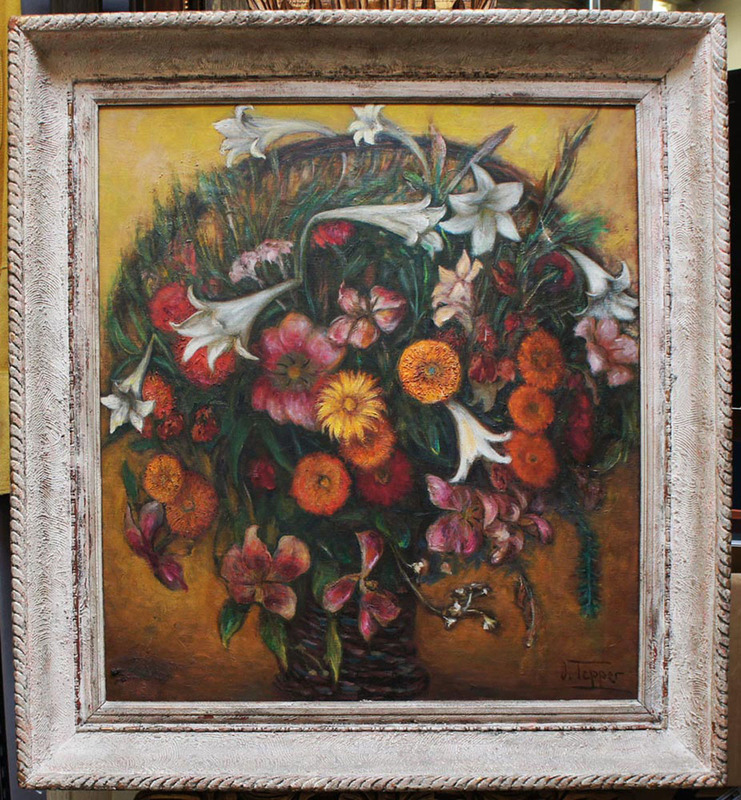 She has a number of items associated with both artists being offered at auction by Creighton-Davis Gallery. Note: A very nice decorative work by this New York based portrait and genre painter.